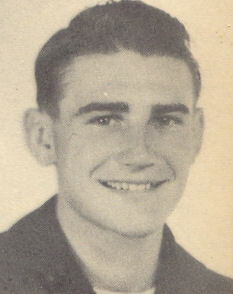 S 3/c Rex L. Pierce, son of Mr. and Mrs. E. T. Pierce, graduated from Tipton High School; husband of the former Oleta Richardson. Entered the Merchant Marines in April, 1945, trained in Avalon, Cal. ; served in the Hawaiians, the Marshalls, the Carolines, Saipan; is now on duty in S. Pacific. Awarded Asiatic Pacific Ribbon.